This is a practical, hands-on book providing in depth tutorials in each topic. It is full of step by step examples of the key points for each subject to give a core understanding. The examples are designed to be worked through and start right from scratch. Each topic will cover the development, configuration and testing of working examples. The book provides clear illustrations and tips each step of the way. It also comes with fully tested, complete, working code if ever you get stuck. Each chapter introduces the topic and what you need to do to get ready to start the exercises. It will tell you what tools you need to use and when to use them. 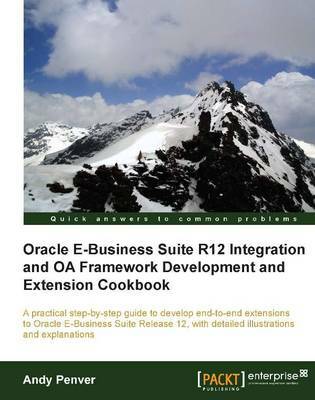 This book is written for those who want to learn how to develop extensions in Oracle E-Business Suite. If you are involved in developing or supporting an e-business suite implementation you should find this book very useful. The book is detailed and therefore minimal technical expertise is required. It is suitable for those new to E-Business Suite or those wanting to broaden their knowledge who may want to use the book to brush up on their skills.